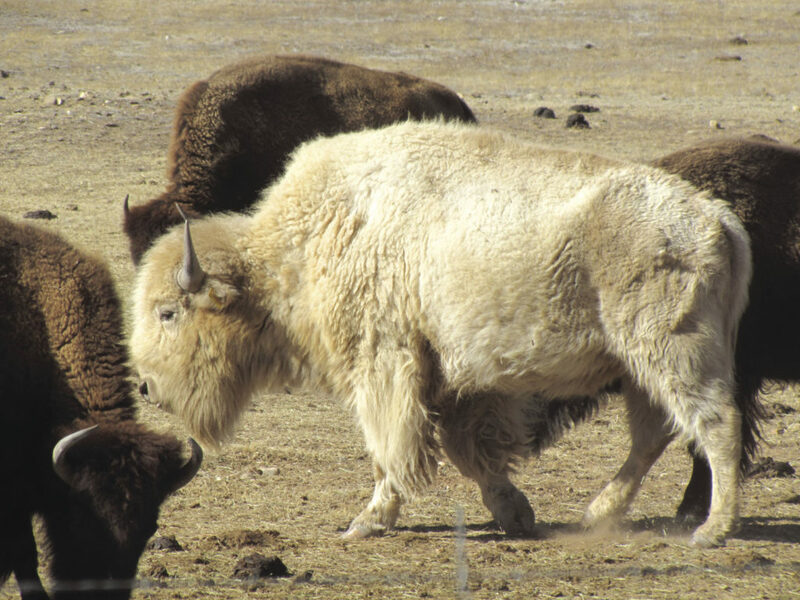 The bison association estimates that the extremely rare white buffalo (common usage has made the word “buffalo” an acceptable synonym for “bison,” although scientifically speaking, “bison” is correct) occurs just once in every 10 million births. Recessive genes trigger the trait; a similar biological process produces black bears with blond or cinnamon-colored fur. Native Americans revere the white buffalo and consider the birth of a white buffalo calf the most significant of prophetic signs. To the Lakota Sioux and other tribes, the white buffalo is Earth’s most sacred living creature, a manifestation of White Buffalo Woman, who appeared some 2,000 years ago as a messiah, explained the connection between all things and taught the people how to pray, follow the “proper path” and make respectful use of the bison. Before departing, she also foretold that someday, the people would have to choose: The right choice will renew the planet; the wrong one will lead to irreparable disharmony. The white buffalo is a symbol of hope, abundance, spiritual rebirth and better times to come. And Steve and I feel so grateful to have seen one.